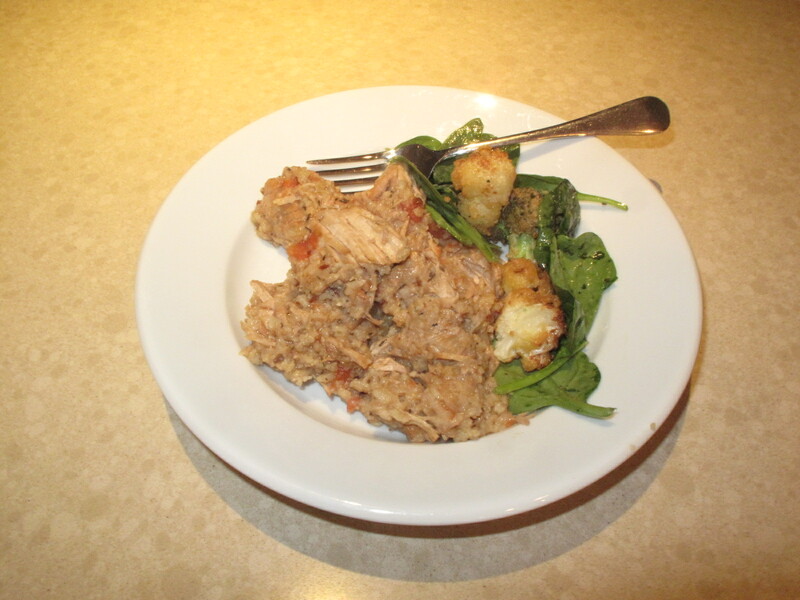 The recipes and posts on this blog reflect the diet which I try to stick with. I’ve invested a lot of time finding the way of eating which works for me, a diet I can thrive on. I am not going to try to make the argument that there is one perfect diet for the entire Human Race. Each of us has to find our own way given our options, tastes, goals, genetics and ethics. It’s also important to understand the difference between your regular diet and a therapeutic diet. For example, many people can gain a lot by switching to a vegetarian diet for periods of time. Always use the best ingredients. Grass fed and finished beef, Organic pork, uncured bacon (no nitrites/nitrates), Organic veggies as much as possible. When a recipe calls for broth, make your own bone broth if you can. I try to do this in batches so it’s on hand. In most cases I double the recipes, this is a time saver for the next few days. Barbara and I don’t mind eating the same protein dish for a few days. I’ll just come up with different fresh greens for each meal. One food I insist is organic is anything dairy. Poorly rinsed dishes and cookware. Please, dish soap is not healthy. Rinse until the surface is squeaky clean. Careless handling of meats, especially chicken. Most pro chefs agree that the most dangerous item in your kitchen is raw poultry. 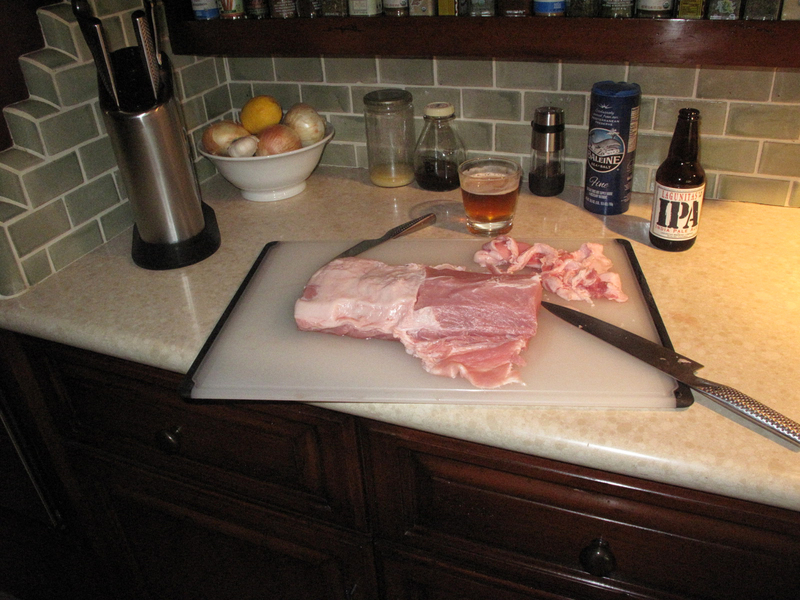 While you’re cooking segregate your cutting boards, utensils, anything the meat touches. I love the butcher block, but a big plastic cutting board is your best bet for poultry. If you use a wood chopping block or board clean it thoroughly and oil it with food grade mineral oil. Pre-washed greens are convenient, just keep in mind that even the organic ones are washed in a weak solution of water and chlorine. Grass fed, pasture raised, feed lot, or not? Heads up! The industrial meat industry is hard at work, and the regulatory agencies which pretend to have our interests and health as their priority are bowing to their masters. The label “Grass Fed” means nothing now, so it is more important than ever to know the source of your food. Heat the oven to 225-250. 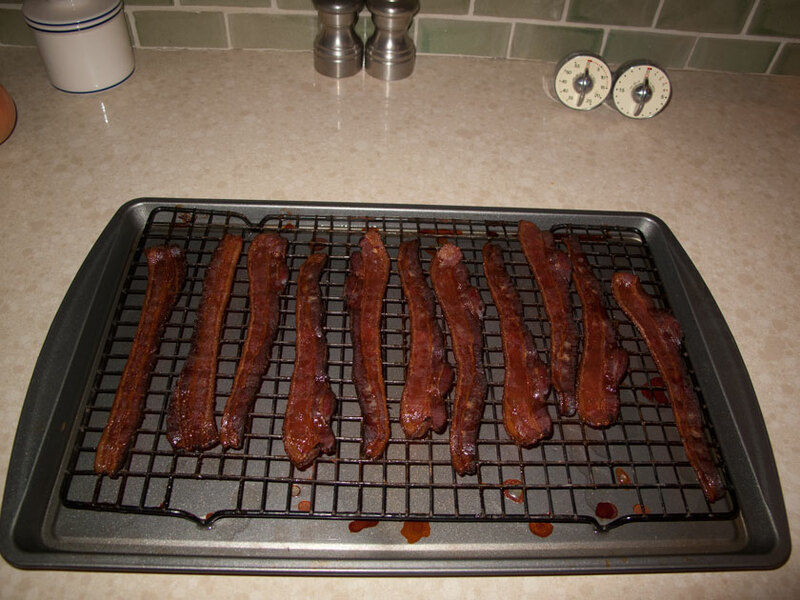 Lay out the strips of bacon on racks in a baking tray. You can pack more strips on than in my picture. Since you’ll run your oven for at least two hours it makes sense to make two or three trays at once. Bake for a couple hours. Check every so often until you have your desired crispiness. After the bacon is done, pour the fat from the tray into a jar through cheese cloth in a big funnel. This pure fat, with no little chunks of meat, can sit out on your counter ready for use, just like Grandma did. I leave out the veal, just mix equal parts beef and pork. Substitute almond meal for the oats. I like doubling the recipe for this one. Also, the loaves form up better if you let the finished mix stand in a large covered bowl in the fridge for an hour or so. I’ve never tried the bison, I like a 50/50 mix of ground pork and ground beef. It’s great. 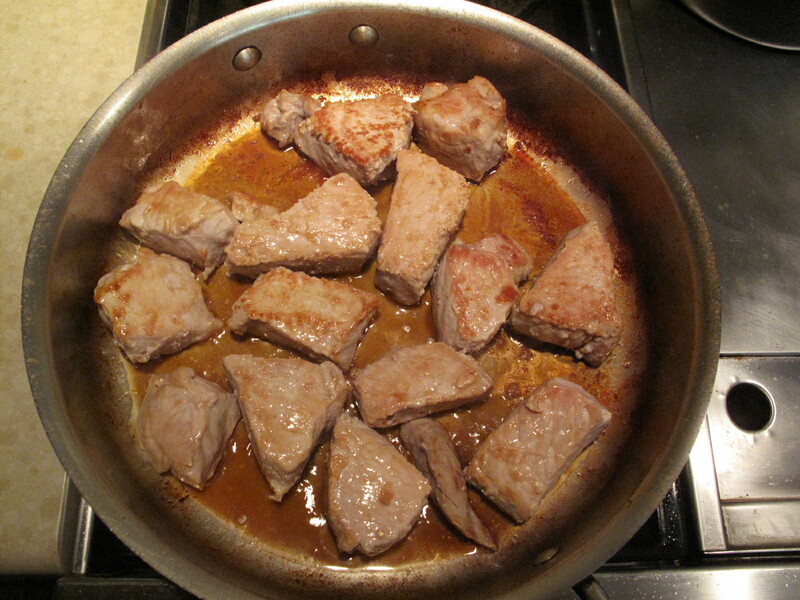 One pointer: Brown the meat in a wok or frying pan in batches, then transfer it to the cooking pot. This enables you to leave the fat behind, draining the pan in between batches. The dish has plenty of fat rendered from the bacon. The first time I made this I ended up with under-cooked chicken, and had to cook the final dish longer than I should have. Now I cook the chicken through in the first step (still tender). The little bit of corn starch is a minor sin. The trick of adding the peas frozen is great, I use this one in a lot of cooking. The other day I made this, but I oven roasted the chicken ’till I could shred it and went from there. Really good. What’s not to love about this combo. Easy to make, easier to eat. Double or triple this one. It keeps for months. This food is a super pro-biotic. Notes: Do not use tap water. Chlorine and fluoride will kill the fermentation process. 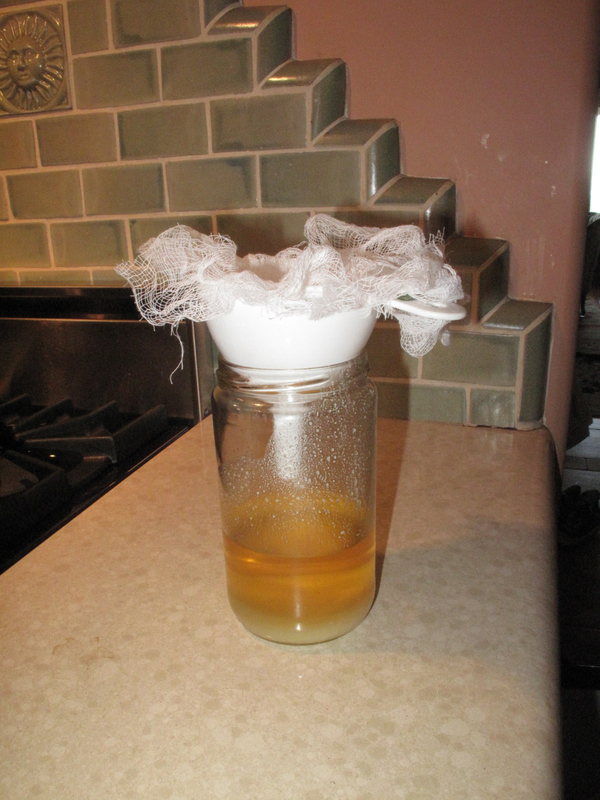 Make certain that all of your jars and utensils are clean and well rinsed. Only use kosher or sea salt. Iodized salt will kill the fermentation process. This recipe can be made with pork or beef. It takes some work to put it all together, but it’s one of my favorites for a special occasion. This is a modified version of a recipe from Mastering the Art of French Cooking by Julia Childs. A four – Five quart pot, thick sides for heat distribution, with a lid. A heavy 10-12″ frying pan. 1 cup decent dry white wine (never cook with wine you wouldn’t drink). 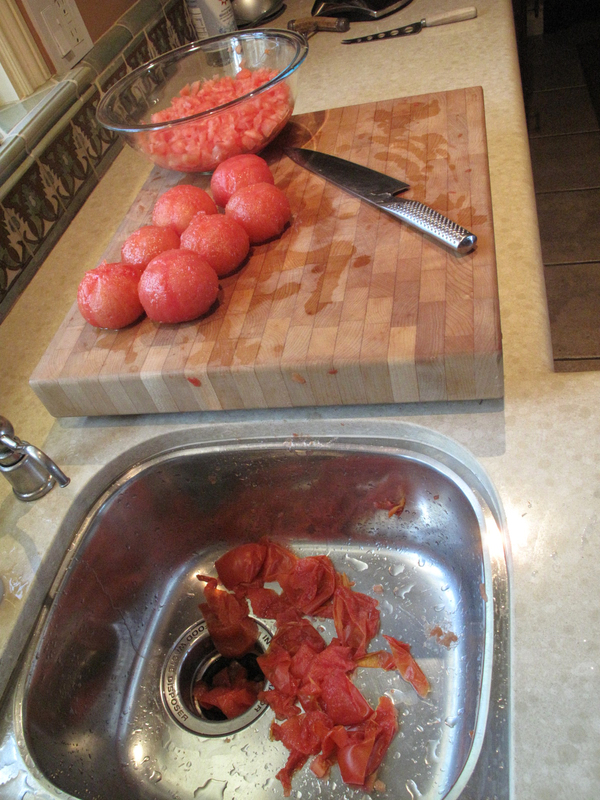 Peel, seed and chop enough tomatoes to have about two cups (I start with two pound of tomatoes). Spices: Two cloves smashed Garlic, 1/2 tsp. thyme, salt and pepper, bay leaf, pinch of saffron. 1 cup finely grated parmesan. 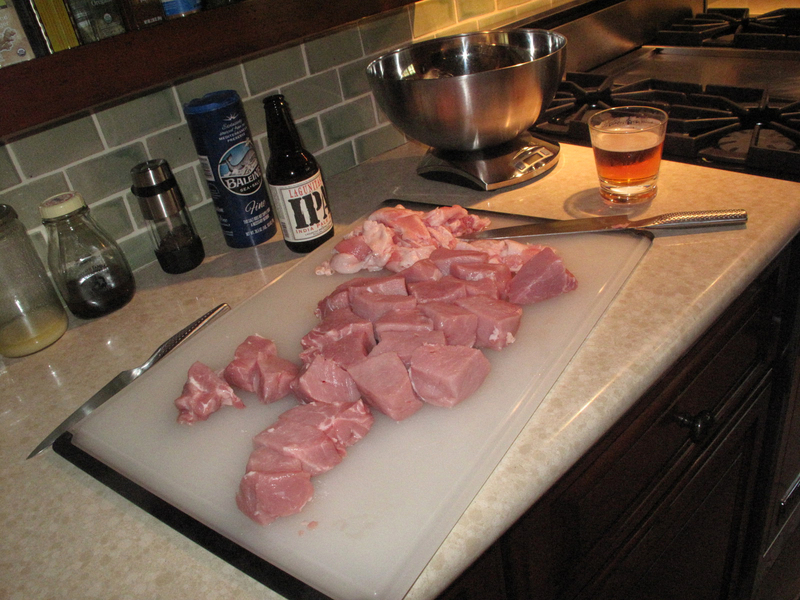 Trim and cut up the pork into 1.5″ cubes. For most recipes I’ll choose fattier meat and not trim it, but for this one I like to use the loin roast and trim it. We’ll render the fat out of the trimmings for future use. 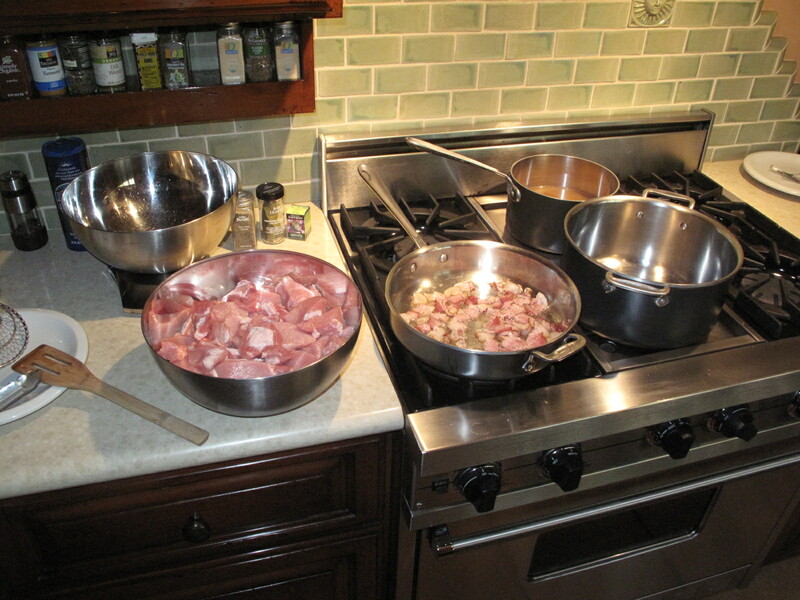 Simmer the bacon in a pot of water for about five minutes. Set aside to dry. Get a few tablespoons of bacon fat heating in the frying pan and brown the bacon. When the bacon is brown but not crisp move it to the pot with a slotted spoon. Leave the fat behind. The meat is ready to go. The warm broth and the stew pot are on the right. Cook the onions ’till translucent and add to the pot, again leaving behind most of the fat. Add fat if the pan is dry. 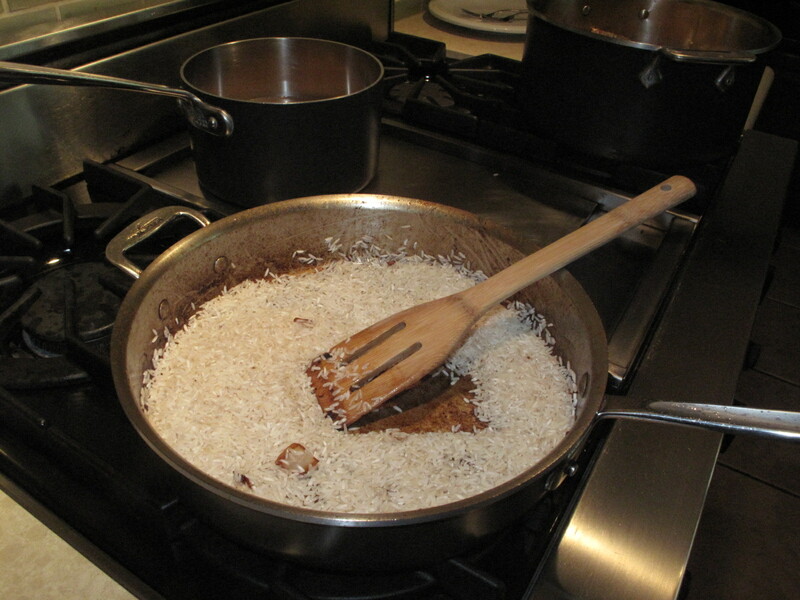 Fry the rice in the pan for a minute or two until browned and set aside for later. De-glaze the pan with a cup or so of the wine. A straight edge wood spatula is perfect for scraping all the goodies up. The pan should be nearly clean. Transfer to the pot. Add warm beef broth just to the top of the meat. Set pot, with lid, in oven for an hour. 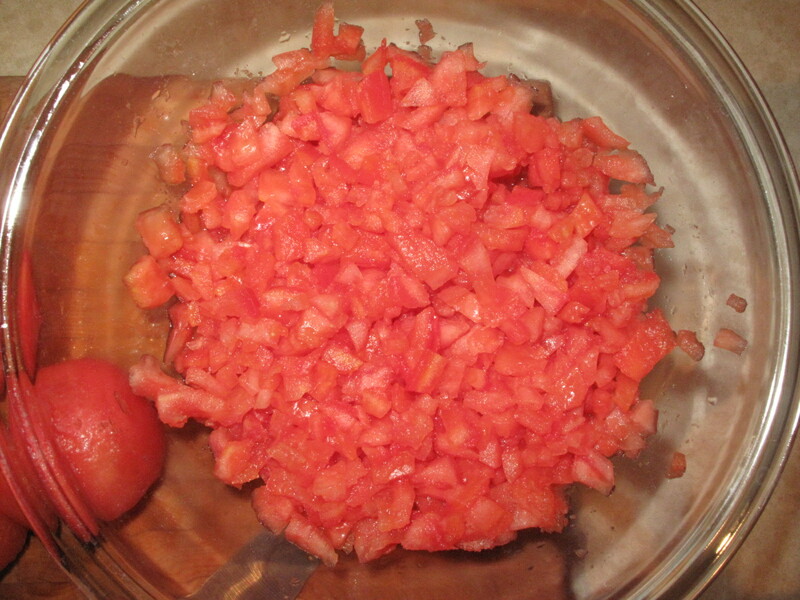 Pull out the pot and mix in the tomatoes and spices, salt to taste. Back in oven for an hour, (hour and a half for beef). Pull out the pot and mix in the rice. Bring up to a simmer on stove and return to the oven for twenty minutes. Do not mix the rice after the first time. Bring the pot out and add warm broth or water if it looks at all dry. The original recipe says to stir in the cup of grated Parmesan now. I have found that this breaks up the meat and makes a mushy stew, so I mix a little in with each serving and have more on the table. For the greens on the side, look here. The trick to frying in olive oil is to get the temp just right. Heat the oil under medium heat until it looks hot but is not close to smoking. Test it by dipping a spare piece of broccoli. If it sizzles you’re good to go. Never get olive oil smoking hot. Back to the stew, this recipe doubles well for bigger dinners and the leftovers are awesome. Like lots of stews it seems to get better over the next few days. I like to prep the tomatoes and meat the day before. My brother in France insists that the meat be trimmed and cut, then allowed to rest in a glass or stainless covered bowl in the fridge overnight before cooking. Waste not – want not. The trimmings from the pork can be rendered down to fat for future cooking adventures, just lay out the trimmings in a tray and set them in a 225 degree oven for at least two hours. Drain the liquid through cheesecloth to filter out any bits of meat. If the fat is clean you can leave it out on the counter just like your grandma did. Tip: Since your oven is already hot, turn it down and set the fat in to render when you pull out the stew. This is an area many trainers do not like to get involved in. It can get personal, and people can be very dogmatic about their foods. So what I am going to do here is talk about the foods I eat and some of the experiences which led me to the diet which I thrive on today. I fully expect to learn more as time passes and so this blog topic will grow as I do. I am not going to try to make the argument that there is one perfect diet for the entire Human Race. Each of us has to find our own way given our options, tastes, goals, genetics and ethics. I began making decisions about my diet in my early twenties. I was a music student living in New York, and I decided to quit eating red meat and poultry (which was served in abundance in the home where I was raised.) A complexion problem which had bothered me during high school cleared up right away, and I felt I was on a good track. I did a lot of carb loading before climbs, runs or bike rides. My athletic performance was excellent. I stuck with this pattern of grains and pastas, veggies and fruit, eggs, fish, and dairy and fish for a long time. Then came an injury, a badly shattered wrist. Surgery went well, but two months into the healing process it was apparent that I had stalled out. My doctor asked me about my diet, and suggested strongly that I eat some meat. I didn’t want to go there, and did not really pay attention. But then I was walking past the meat counter at the market and something bizarre happened. The meat really looked good. I was standing there staring at the steaks, and it was like they were talking to me… “Eat me… eat me…” I explained my situation to the butcher, asking for his recommendation for a person who has not eaten meat in a very long time. I took home a few thin slices of “all natural” London Broil. It was great! I cannot prove the connection, but as I ate more meat my wrist healed well. Gradually I became more interested in quality ingredients and cooked more for myself. 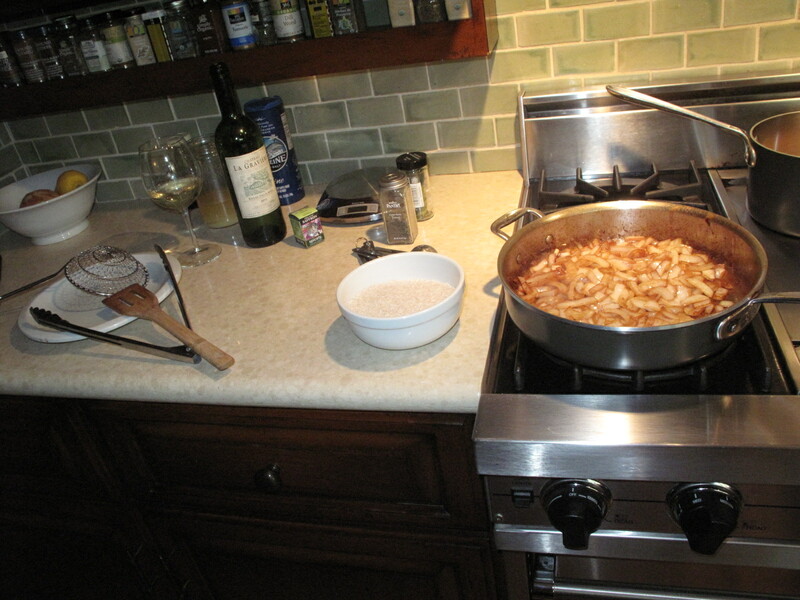 In 2004 I moved in with my companion (and soon to be wife) Barbara, and took up the cooking duties in our home. We are both very motivated to be fit and healthy and so food is a constant topic. 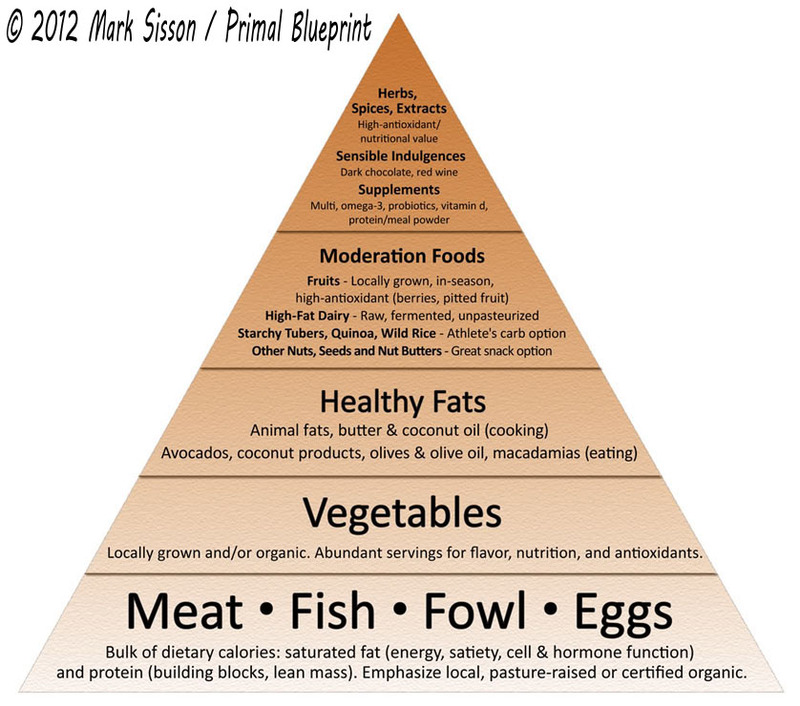 Barbara bought Mark Sisson’s book The Primal Blueprint and I have been following this diet closely for several years now. Pushing the carbs down to <100 grams / day took about a week for me to adapt to. Then, suddenly my energy came back without the ups and downs I tended to have before. My energy used to fluctuate a lot, and if I felt even slight hunger I would have to eat right then or bonk. Now, after a few years of eating Primal I’m much more stable. 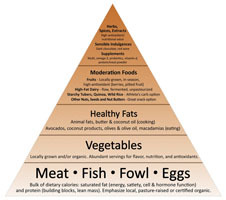 So going along with the basic diet outlined in the graphic below, we have a few rules about our food in this house. No processed foods. No refined sugars. Beef is pasture raised organic (no corn fed hormone and antibiotic feed lot meat.) All other meats are organic. Chicken is free range organic. Fish is wild. I eat a lot of can salmon, sardines and stuff like that, Barbara not so much. As much as possible all the fruits and veggies are organic.